In a landmark decision, Johnson & Johnson has been ordered to pay $US4.69 billion ($A6.34 billion) to 22 women in the US in its ongoing talcum powder saga. As reported by AAP, the women alleged that the company’s talcum powder-based products such as baby powder contained asbestos and caused them to develop ovarian cancer. They also alleged that the company knew its products were contaminated with asbestos since the 1970s, but failed to warn consumers about the risk. 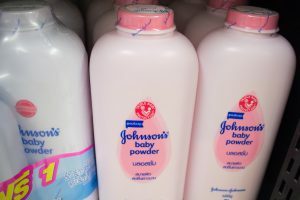 The verdict is the largest Johnson & Johnson has faced yet over the allegations, with the company currently battling around 9000 talcum cancer cases. Johnson & Johnson has continuously denied that its talcum products cause cancer and that they ever contained asbestos.